This is not new news but, I thought I would mention it for all of the people thinking of buying a condo near Square One Soon. The new building is expected to be completed in the summer of 2016 and ready for students that September. The expansion will enable Sheridan to accommodate up to an additional 3,200 full-time students The expansion of the campus will further support the City’s Downtown21 plan to create a vibrant downtown, attract and retain youth, create great public spaces and develop talent. For an investor this is great news. More students, more rental demand. There are a few projects underway and two more phases of the mirage buildings which will have phase 2 complete by then, and a phase 3 will be underway. If you are interested let me know, I can send you information on this project. When the market spikes so high in a certain area while other markets are slow it is called a bubble. This can happen in a country, city or neighbourhood. For the past year and a half or so its been happening in the GTA. This is great for people selling properties but if you are buying a property watch out. In the GTA there are a huge number of speculators in the market and people who buy when the market is low. The purpose is to renovate and resell, then make a profit. In this type of market it is extremely difficult to buy low because everything in the bubble is high. These buyers are constantly looking for the bubble to burst and waiting to pounce like a lion. There are always reports of the market dropping due to economy, inflation, and of course the unemployment rate. While these are all major factors the biggest factor that will drop the market is Interest rates. This controls the market as well as the other factors. If you go south it is a mess and the government is trying everything to spark the housing economy. The problem is that it is still very hard to get financing when you don’t have a job. This is an example of a market gone haywire. Nobody knows what will happen in any economy but here are a few reasons why a market drop is good for the economy to stay balanced for the future. Now I’m saying a little drop, not a fall to the center of the earths core. 3. Depending on how much the interest rates go up, it will allow some buyers into the market to buy their first home. 4. There is more scrutiny on the homes that are bought and some homes are forced into renovation allowing a better inventory. This is due to more clauses in contracts. More clauses means a seller will make sure that the proper maintenance has been done. Home Inspections and Finance clauses are not waived in this market. 5. House prices will catch up to income of buyers. In a market bubble, many peoples income does not support the average price. Therefore more money must be spent on the purchase price. In a market drop incomes are allowed to catch up, therefore more houses are affordable. 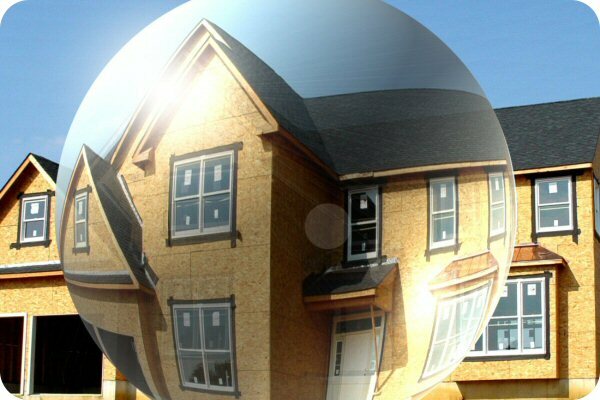 A market bubble is happening right now in the GTA, ask any agent north of the city. While it has been a crazy year for asking prices, the market has slowed down a bit. This is also due to seasonal lows. The market however does not show any means of slowing down, but …. there are factors that indicate a burst, stock market drops, inflation rates going higher, gas prices staying high, unemployment at an all time high and our dollar staying high slowing down manufacturing jobs. Most of all is the world economy seems to be in spinning out of control. Eventually it has to catch up to our little market bubble here in the Greater Toronto Area. With the HST looming over our heads and the rising interest rates in the coming months there is going to be another factor that will slow our sellers market down. It happens every year around this time. More people listing of course. This is the month that most people like to list their property. The reason; good weather and more buyers. More people like to have garage sales, do their renovations and put their house up for sale. It happens every year. This year is no different only in that people who were possibly thinking about selling their house later on in the year might be swayed to sell now since almost every house is selling for asking price or over the asking price. My advice to buyers is not to get caught up in the circus. If you have to move because you sold your house make sure you have plenty of time. This is a benefit because you don’t have to fall into a bidding war. You can wait for the deal you want. There are going to be plenty more listings on the market maybe too many. This is going to drive the price down a bit. There are going to be too many listings out there. The way buyers get trapped is that they are in a crisis because they waiting too long to start looking for houses. After they are in a situation where they have to pay a significant amount more for the house they wanted. Then they think that maybe they shouldn’t have sold their house in the first place. That is not a great situation. Work with your agent and if there is something you like on a street and it is receiving multiple bids ask your agent to do some door knocking or phone calls to the neighborhood to see if anybody else is thinking of selling on the street. Maybe your agent can work with people who are on the fence and then because there are no other offers you can come to a price that might be lower than the house down the street. Look for houses that have been on the market for a while. Maybe the sellers are pricing the house too high and are willing to come down. Look for houses that have steadily come down in price. These people are motivated to sell. HOUSES FLYING OFF THE SHELF FOR NOW! In my own experience in the last few weeks I have noticed while looking for a few buyers of mine that houses are selling faster than they can be listed properly. What has been happening to me is that as fast as houses are on the market they are already selling in a multiple offer situation. The people who know they are going to move know that the interest rates are going up. This is a huge factor. I have been saying as well as everybody else that the market will slow down soon. Interest rates combined with more houses being listed will give the buyers out there more choice and it will drive the prices down a bit. With all the houses going off the market so fast there are also a bunch of houses I noticed on my street and in my area that have been sitting there and there is no movement. So I looked into the houses and noticed that they are way overpriced. So I was walking and handing out some of my market watch report on my street and I spoke to one of the owners of these overpriced houses. I said how is it going, have you had any offers. He said we have had a few but they are very low. I replied how low. He gave me the price and I told him that those prices are not unreasonable considering the offers are a lot higher than the comparables. The moral of the story is that just because we have this crazy market right now, it doesn’t mean that people are going to pay 40% more for a house right away. It possibly could get there during negotiations through multiple offers but that is another situation. Anyway happy hunting here is a report from TREB for March. If have any questions please email or phone me. 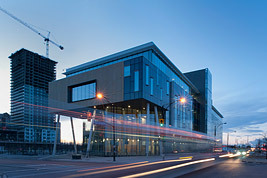 April 6, 2010 — Greater Toronto REALTORS® reported 10,430 sales through the Multiple Listing Service® (MLS®) in March, pushing total first quarter 2010 sales to 22,418 – the best result on record under the current Toronto Real Estate Board (TREB) boundaries. The average price for March transactions was $434,696. The average price for the first quarter was $427,948. The annual rate of growth for new listings continued to accelerate in March. The number of new listings grew by 42 per cent compared to March of 2009. In March, the median price was $370,000, from the $317,500 recorded during March of 2009. The average overall price of houses compared to last year in February is still 18.2% higher. According to the MLS stats the national average of sales dropped 1.8%. That is due mostly to Vancouver’s drop and Toronto’s booming market. I believe that we have such booming markets across Canada that it has to come down at some point. Many real estate analysts are predicting an increase in sales before the HST and interest rates are due to increase. I still believe we will see a drop in sales and the market will have a plenty of inventory toward the end of the third quarter. Many people will want to sell their homes in this hot Toronto market and get out of their higher mortgages of the past to secure a lower percent before the rates go up. It only makes sense. Buy a new house and get into it for lower Mortgage rates.. Cheaper rates now mean more money later. Another factor now plaguing buyers are the new mortgage rules that are set to be imposed April 19. These new mortgage rules will surely change the way we get our mortgages approved. Some say it will secure the markets in the future and avoid a future pitfall in our economy. Personally I don’t believe that is totally possible because we are such a global economy now. We can prevent a totally destruction of our economy to some degree but overall we would still see a decline if the world has a recession like it happened two years ago. The Bank of Canada today announced that it is maintaining its target for the overnight rate at 1/4 per cent. The Bank Rate is unchanged at 1/2 per cent and the deposit rate is 1/4 per cent. The global economic recovery is under way, supported by continued improvements in financial conditions and stronger domestic demand growth in many emerging-market economies. While the outlook for global growth through 2010 and 2011 is somewhat stronger than the Bank had projected in its October Monetary Policy Report, the recovery continues to depend on exceptional monetary and fiscal stimulus, as well as extraordinary measures taken to support financial systems. Economic growth in Canada resumed in the third quarter of 2009 and is expected to have picked up further in the fourth quarter. Total CPI inflation turned positive in the fourth quarter and the core rate of inflation has been slightly higher than expected in recent months. Nevertheless, considerable excess supply remains, and the Bank judges that the economy was operating about 3 1/4 per cent below its production capacity in the fourth quarter of 2009. Canada’s economic recovery is expected to evolve largely as anticipated in the October MPR, with the economy returning to full capacity and inflation to the 2 per cent target in the third quarter of 2011. The Bank projects that the economy will grow by 2.9 per cent in 2010 and 3.5 per cent in 2011, after contracting by 2.5 per cent in 2009. The factors shaping the recovery are largely unchanged — policy support, increased confidence, improving financial conditions, global growth, and higher terms of trade. At the same time, the persistent strength of the Canadian dollar and the low absolute level of U.S. demand continue to act as significant drags on economic activity in Canada. On balance, these factors have shifted the composition of aggregate demand towards growth in domestic demand and away from net exports. The private sector should become the sole driver of domestic demand growth in 2011. In its conduct of monetary policy at low interest rates, the Bank retains considerable flexibility, consistent with the framework outlined in the April 2009 MPR. The risks to the outlook for inflation continue to be those outlined in the October MPR. On the upside, the main risks are stronger-than-projected global and domestic demand. On the downside, the main risks are a more protracted global recovery and persistent strength of the Canadian dollar that could act as a significant further drag on growth and put additional downward pressure on inflation. While the underlying macroeconomic risks to the projection are roughly balanced, the Bank judges that, as a consequence of operating at the effective lower bound, the overall risks to its inflation projection are tilted slightly to the downside.